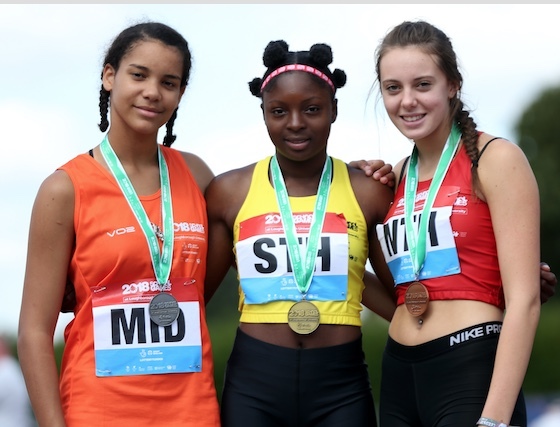 THE School Games National Finals took place at Loughborough University between Thursday 30th August and Sunday 2nd September, with Essex’s Funmi Olajide, 16, contesting the girl’s long jump competition. The William Edwards pupil was part of the England South team and performed well, a leap of 5.98m in the final round securing her gold. Of her performance, Funminiyi said: “I’m really happy about my performance. The School Games has been a really good experience -, I’ve been to watch hockey and I found it really interesting because I’m not very good [at hockey] myself! Now in its thirteenth year, the event – featuring over 1,000 school-age athletes – will see some of the most talented schoolchildren from across the UK compete in 11 different sports.